So why are Gluten free food products so expensive? It seems that gluten free breads and other such products are 5 to 6 times more expensive than similar wheat based product. Supply and demand may be a part of this situation. More land is allocated to wheat crops than any other food crop. World trade in wheat is greater than for all other crops combined. Wheat is the most important source of carbohydrate in a majority of countries. 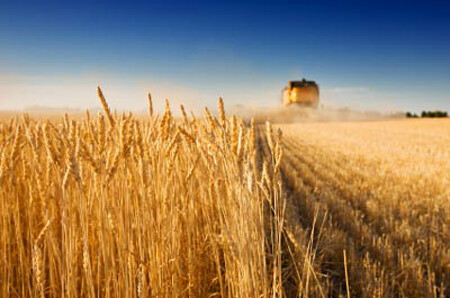 The USA is the third largest wheat producer in the world after Peoples Republic of China and India. With rice, wheat is the world’s most favored staple food. The average America consumed 133 pounds of wheat flour in 2004. That is about 6 oz. or 1 cup of wheat flour a day on average. Wheat is an inexpensive and very filling grain that is in almost everything in the American diet. Wheat provides more nourishment for humans than any other food source. It is a major diet component because of the wheat plant’s ability to grow from near arctic regions to equator, from sea level to plains of Tibet. Wheat offers ease of storage and versatility. Wheat protein is easily digested by nearly 99% of human population. That is about .5 to 1 percent of the world population cannot. Mathematically speaking we could assume by those numbers between 35 to 70 million people worldwide have some form of celiac disease. Rising gas prices have hit everyone’s wallet pretty hard. Not only do we pay more at the pump but also at the grocery store. It costs money to ship our food from farm to factory to store. One more effect of Ethanol fuel is that it is made from crops such as corn, sugar cane, and manioc. These crops use a lot of land, decreasing areas that food crops can be grown, thus increasing food prices of crops, meat and poultry. Live which eat crops and use land as well. World ethanol production for transport fuel tripled between 2000 and 2007 from 17 billion to more than 52 billion liters. Therefore wheat is a common, inexpensive and favorable food staple that you or someone you love cannot eat. We are the one percent that has little choice in how much our food will cost. So if you are gluten free you probably want to stay away from noodles. That is unless the pasta is not made of wheat. I recently went to Noodles & Company. I ordered the Pad Thai it was yummy. So its nice to know you have options when friends want to go to this restaurant. I go out to eat a lot with my boyfriend who will be happy to know there are other options than just sushi, salads, and nachos.